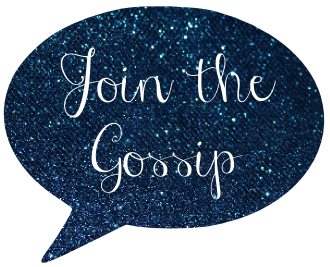 Join The Gossip: I'm off to Chicago! Tomorrow I hop on a plane and head to Chicago! I get to spend three glorious days having the ultimate weekend with my Weekend Update co-hosts Dana of five30three and Sami of Sami's Shenanigans. Dana and Sami already had plans for an epic meetup and then they were sweet enough to invite me! We're also spending time with Mrs. Chris of Chubbette Tales! It's my first time in Chicago and although I am super scared of the cold weather (LA doesn't get colder than the 50s...when it's REALLY cold), I'm really eager to meet the ladies and see the sights. Now jumping back to yesterday - yeah I'm all over the place - I am proud to announce that I had a good hair day. You know that feeling when you wear a new outfit or your makeup just looks right? That was me yesterday. Curls and bows. In other news, we started the Biggest Loser at work two weeks ago. As of last night, I've lost 5 lbs-ish. I keep weighing myself with boots on after breakfast so I may have lost 6. I allowed myself a bit of Thanksgiving cheating and plan on a few cheats in Chiacgo, but overall I'm sticking to eating healthy (1200 calories and cutting sugar) and exercising three times a week (at least the first week I was exercising). IF I lose the most I get $200. Wish me luck! And lastly, who is pumped for the Target + Neiman Marcus Holiday Collection? On Saturday Dana and Sami have plans to do some damage at the debut. I may or may not make a purchase. 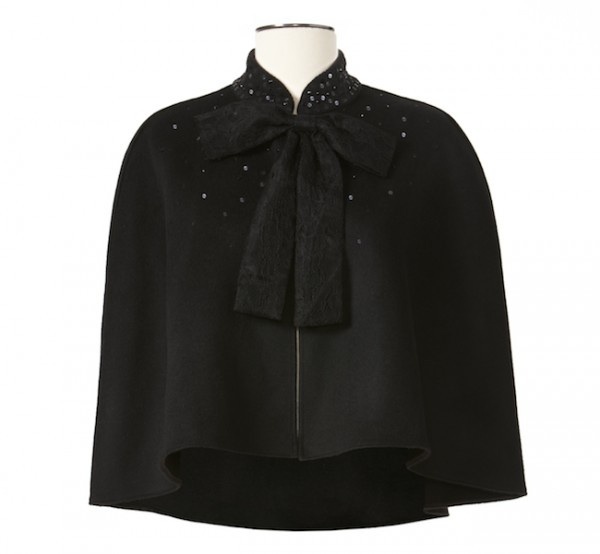 I'm still trying to save after my Australia trip earlier this month plus pay for three root canals which alone cost nearly $2,000 :( If I were to buy something, I wouldn't mind the Prabal Gurung Cape! Finally linking up with my favorite sorority sister who I've never met, (yes, same sorority, Delta Zeta, but at a different school!) Shanna of Because Shanna Said So. Hi Leann! That bow shirt is adorable and from what I can tell, you definitely had a fab hair day! :) Have an amazing time in Chicago! Be prepared for the cold. I am in MN and it's freezing here now. Chicago is only 6 hours away or so so it's probably pretty cold there too. Anyhow, I'm from Miami, FL and I've survived a year in MN so I think you'll be alright! :) Found you on Random Wednesday! Ohhhh! Have fun in Chicago! Blogger meet-ups are so much fun, and I can't wait until I have the opportunities for more. Great job on the biggest loser challenge so far! It's hard to get started, I think, but once you're there, it's easy to keep going, and enjoy those cheat days! They are always worth it. Enjoy your time in Chicago, never been there but it's on my list of places to visit one day! And your hair was certainly most fabulous yesterday! Love good hair days. I always seem to have one the day before I have a hair appointment to change things up. It always throws me off! yay! you guys enjoy your meet ups! and oh my, i'm so jealous with your hair. a good hair day indeed. Have fun in Chicago! Love your hair with that beautiful shirt! Also, congrats on the weight loss! Sounds like you're working hard. Congratulations on the weight loss! And you're going to have a blast in Chicago. I love your bow shirt! Adorable. Have a fab time in Chicago!! You ladies are going to have so much fun!!!! I can't wait to hear all about it!! Bundle up, sister!! And you looks ravishing yesterday!! HAWT! Keep up the great work with the diet and exercise! You can do it!!! Thanks so much for linking up!!! so excited about the Target collection!!! Yay! Have fun in Chicago. Stopping by from the linkup. I expect a drunk dial. And something from target. How did you get those amazing curls?! Have fun in Chicago!! I'm going to check out the Neiman/Target collection..I'm so excited for it!!! Love that cape!! Have so much fun!!! You are going to love Chicago! And you are in luck. It's suppose to be pretty warm this weekend. For Chicago at the beginning of December anyway. Cool! I've never been to Chicago. I'd love to join a weight loss thing at work but I work at such a large company, and I'm so anti-social, I'm not sure I would like it so much.